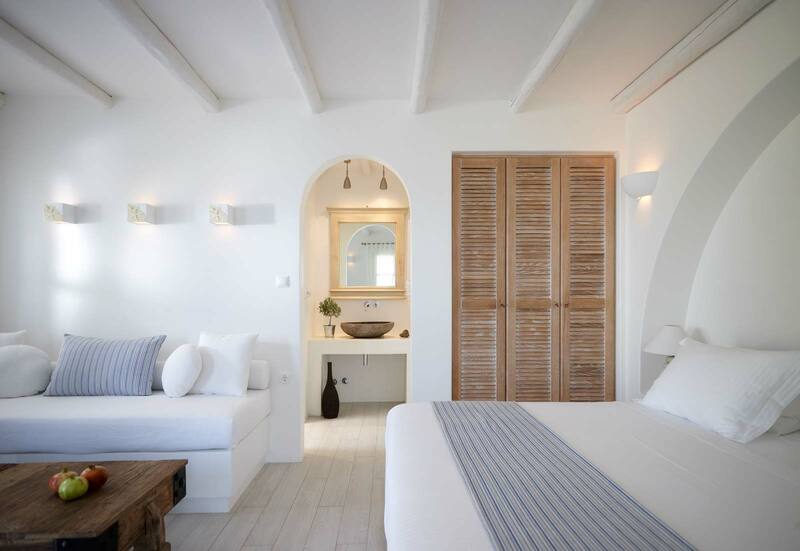 Three really spacious suites, built in Cycladic architecture with pure lines and a relaxing ambience. 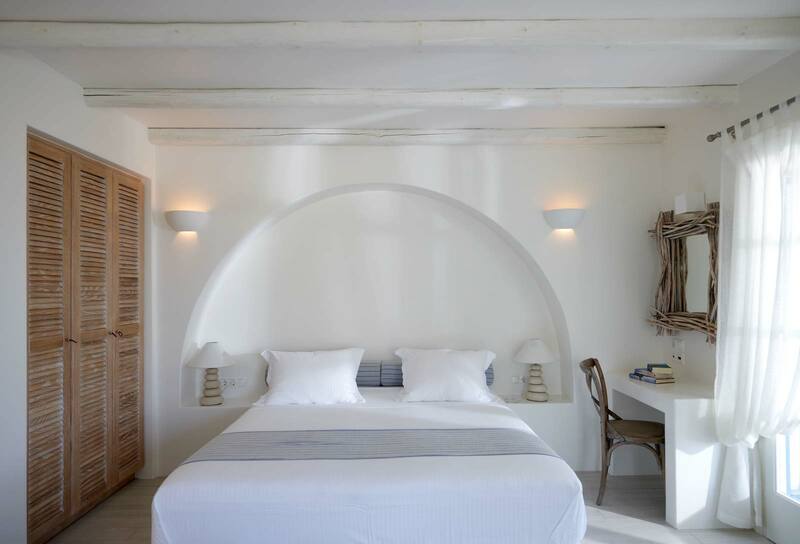 The Cycladic Junior Suites are located on the ground floor and at their 28 sq.m., they can accommodate up to three people. A king size bed or twin bed options are available while the sofa of the sitting area can host one extra person. 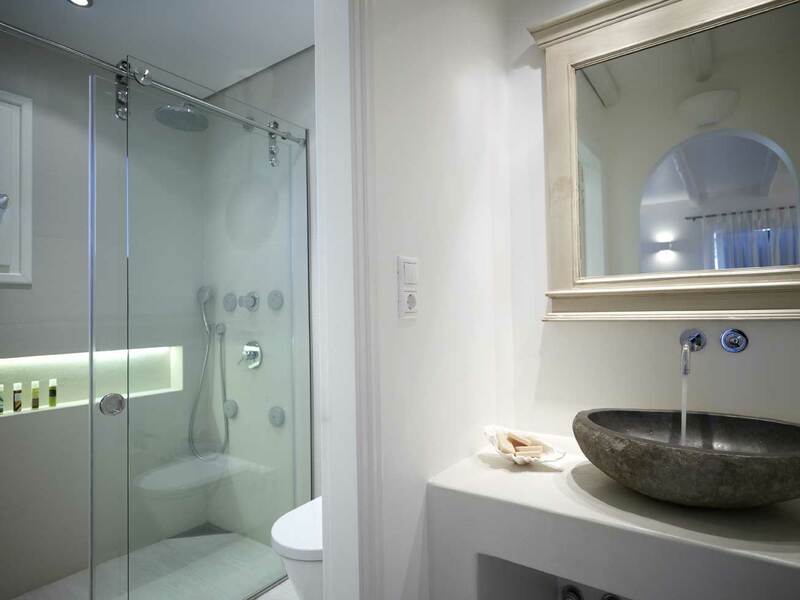 The luxurious bathroom features a crystal enclosed, built-in-wall, hydromassage shower. 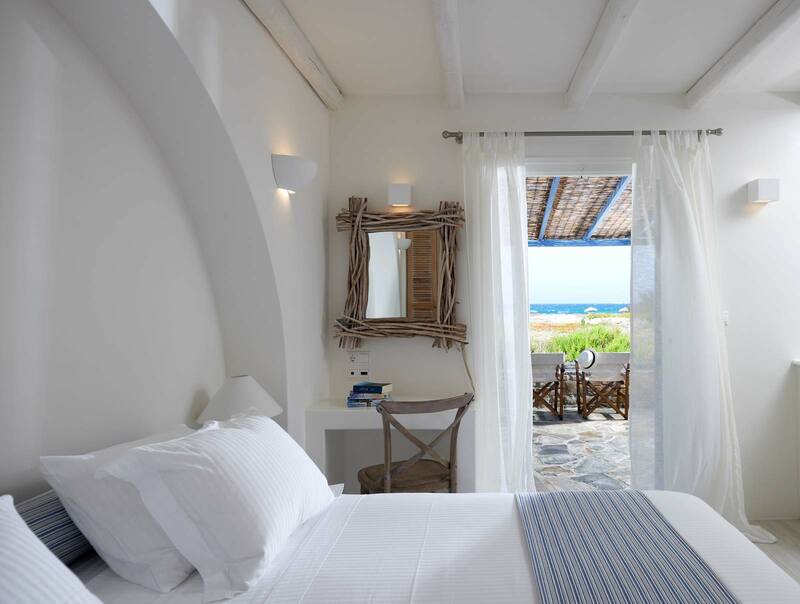 The Cycladic Junior Suites of Villa Marandi Suites have a fully equipped kitchen for the preparation of light meals. 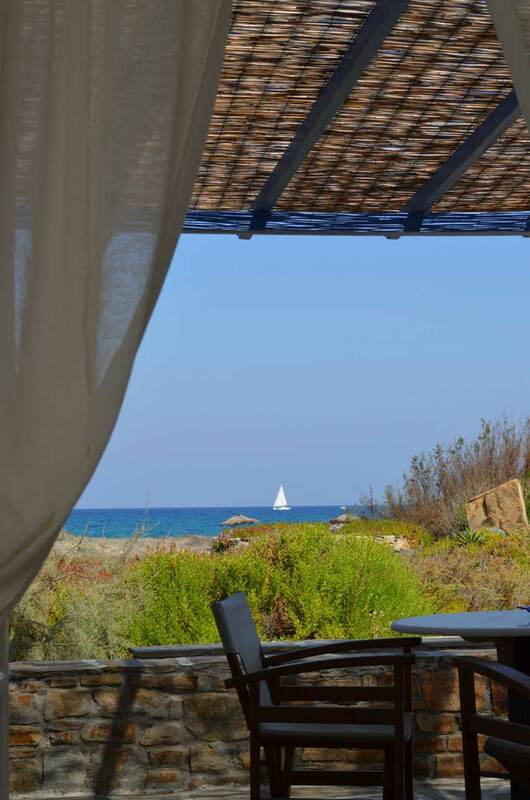 The large furnished terrace offers beautiful pool view or magnificent view of the sea.